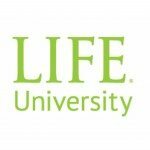 June 27, 2018—Life University’s (LIFE) NeuroLIFE Institute (NLI) now offers a LIFE Certificate in Applied Clinical Neuroscience. This 100-hour certification course deepens the professional’s understanding of the brain and how the nervous system affects one’s overall health. The certificate will provide the latest applied neuroscience research and practical tools and techniques for utilizing these findings in one’s practice. Now more than ever, one needs to understand how Chiropractic can affect the nervous system and neuroplasticity of the brain. NeuroLIFE Institute developed the LIFE Certificate in Applied Clinical Neuroscience to address the changing landscape of health care today and use current research to help improve Chiropractic’s message to the public. The certificate will provide an in-depth review of the nervous system and demonstrate how to properly utilize the receptors in the body to affect neuroplastic change and improve one’s patient’s quality of life. 1. Part One – The first 50 hours will be on-demand videos, watched on one’s own schedule, that will cover the review of the basic sciences with case studies and skills that can be implemented immediately in one’s practice. 2. 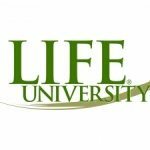 Part Two – The next 40 hours will either be live on the Life University campus or live streamed on the internet, and will cover the neurological examination, as well as set the stage for Neurological Rehabilitation. 3. Part Three – For the final module, one will be required to be in the NeuroLIFE clinic as staff performs grand rounds on three patients – who will have come from the doctors attending the program. Working up a patient, designing a treatment plan and beginning the treatment will then be done as a group. Then, what home exercises look like and how to monitor them with the patient will be shown. For this module, class sizes will remain small, less than 25, so multiple attendance dates will be provided. How can the LIFE Certificate in Applied Clinical Neuroscience program benefit your practice? * The program will take current science that supports the chiropractic profession that focuses on the brain and neurons that you can incorporate into your practice to grow your clientele. * Learn new science that supports the chiropractic adjustment. * Tools will be added to your toolbox, including neuromuscular rehabilitation in your practice. Pricing is $3,500 for the entire three module program and includes either in person or live stream for that price. Please visit the “Frequently Asked Questions” section of the NeuroLIFE Institute website at www.NeuroLIFEinstitute.com/FAQs/, or speak directly to an NLI representative at (770) 426-2663.